Live Feed of the CNC Lab! 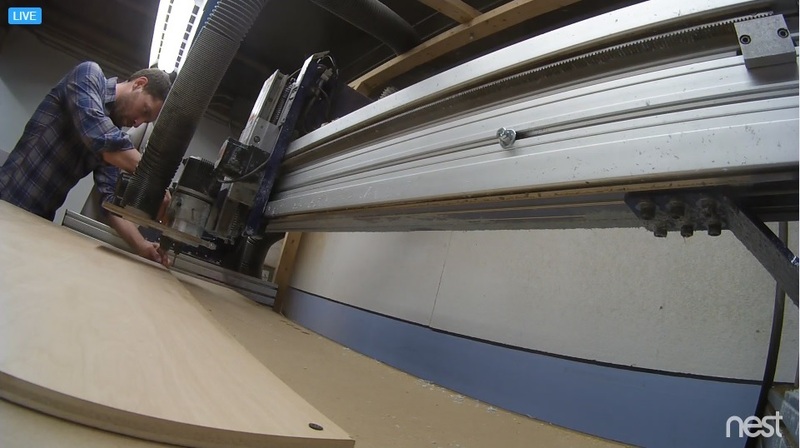 Click here to watch the live feed of the on-campus CNC Lab! A CNC router is a computer controlled 3-axis (x, y, z) digital fabrication tool used for cutting sheet stock such as plywood or foam. It can make 2D cuts similar to a laser cutter, but can also create 3D contours because the router blade can move in all dimensions. Our CNC machine has a 2'x4' bed size and can be used to produce furniture, signage, site models, pavilion scale projects, and much more. For more information on the CNC Lab visit the BAC website.